This user agreement (Henceforth “The Agreement”) serves to establish the relationship of rights and obligations between The Association for the Advancement of the Japanese Culinary Art (Henceforth “The Association”), and users of the Internet service “SHOKUNIN RECIPE” (Henceforth “The Service”), which is managed, administrated and provided by The Association. Before using The Service, it is heavily recommended that you read The Agreement in full, and only register to The Service once you have fully understood and agreed to its terms and conditions. 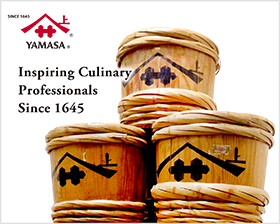 (1) “The Association” refers to The Association for the Advancement of the Japanese Culinary Art. (5) “Service User Agreement” refers collectively to The Agreement, separate agreements and any further user agreements established between The Association and its members related to The Service. (6) “Members” refers to persons who have agreed to the terms of The Agreement, and registered as a user of The Service, according to Article 3 (Membership Registration). Article 2: Application of User Agreement. The Agreement aims to establish the conditions of The Service, and the relationship of rights and obligations between The Association and its members related to The Service, and is to be applied in any and all matters concerning it. Separate agreements are also considered a part of The Agreement, and members are assumed to have agreed to them in the same way they agreed to The Agreement. If there should be any inconsistencies between the terms of The Agreement and those of separate agreements, then unless those separate agreements specifically state otherwise, the terms in those agreements are to take priority. Any persons who wish to become a member are to after agreeing to The Agreement and confirming the service content, membership fees, payment methods, etc. on The Association’s website, apply for a registration by providing The Association with required information through methods established by The Association. Furthermore, members are assumed to have acknowledged beforehand any possible changes in service content, membership fees, etc. The Association will decide whether or not to accept a registration based on its standards, and will notify the applicant if their registration has been accepted. The registration process is deemed to have been completed after this notification. After completion of the registration process as detailed in the previous clause, a service user agreement will be established between the member in question and The Association, and said member will be able to use The Service in accordance with the terms in The Agreement. The Association may reject a registration if the applicant falls into any of the following categories. The Association bears no responsibility to specify the reason for rejection. (1) The information provided to The Association contains falsehoods, mistakes or omissions. (2) The applicant belongs to a crime syndicate, right-wing organization, or other antisocial forces (Henceforth referred to collectively as “Antisocial forces”). Or if The Association has judged that the applicant has ties to, or may be actively participating in, the maintenance, operation and management of antisocial forces through financial support or otherwise. (3) The applicant had violated a contract with The Association in the past, or is otherwise related to someone who had. (4) The applicant has opted to cancel their registration through the methods detailed under Article 11 (Registration Cancellation). (5) The applicant has been otherwise judged to be unsuitable for registration. Article 4: Changing Registration Information. 1. If a member wishes to change their registration information, then the member in question is to submit those changes to The Association through established methods as soon as possible. Until The Association has received the submission, it will continue business using the old information. 2. The Association takes no responsibility for any unsatisfactory member support that results from a lack of submission detailing changes in registration information on the member’s part. Article 5: ID and Password Management. As member status is considered to be personal information, it is the member’s responsibility to adequately manage and protect their ID and password, and not to disclose, lend, transfer, change names or sell this information to any third-party individuals or organizations. Any damage that results from inadequate managing of ID and password, or mistakes caused by third-party usage, is the member’s responsibility, and The Association takes no responsibility for this. Once the ID and password entered at login proves to be a match with registered information, that login will be considered to be valid, and that any usage from then on is the action of the account’s owner. All information related to service content, membership fees, payment method is to be listed on The Association’s website in a format accessible to members. There may be revisions to membership fees due to changes in The Service’s content. In that situation, The Association will notify all members beforehand through established methods. If a member’s registration should come to an end while they are still subscribed to The Service, due to registration cancellation or other reasons, there will be no refunds based on the number of days left. The Association will not issue any refunds of received membership fees. The Association will not issue any receipts related to membership fee payments. Any member wishing to cancel their registration is to submit a cancellation request to The Association through established methods. As membership status is personal information, in the event The Association has been informed of a member’s death, said member will be assumed to have completed all the necessary procedures. Any member wishing to cancel their registration will have to complete established cancellation procedures, and regarding membership fees, if the cancellation is not completed before the end of their current subscription, then the subscription will be automatically updated to the next month/ year, and the member will be assumed to have agreed to this. In the case that a member submits their cancellation in the middle of the month, they still have to complete the membership payment for the whole month. Any member who has stopped being a member through cancellation or other reasons, is assumed to have acknowledged that they will be unable to confirm the status of their membership information on The Service. However, The Association holds no obligation to delete this information. Article 8. Regarding Personal Information. The Association reserves the right to use and disclose information and data provided by members, in the form of statistical information that cannot be used to identify people, and members are assumed to have consented to this. The preparation and maintenance of all necessary communication equipment, software, and other supplemental equipment for using The Service is to be of the member’s own expense and responsibility. Furthermore, the choice of any electricity or communication service provider to connect to The Service is also at the member’s discretion. All pages related to the input or display for reference of personal information is protected under TLS/ SSL security protocol. All intellectual property rights related to The Service or this website belongs to The Association, and the providers of The Association’s intellectual property licenses. Any consent agreements provided by this user agreement are not applicable to these license agreements. All members have a responsibility to guarantee that they possess legal rights over all the information they provide to The Association (Henceforth “Provided data”), including all published posts and other transmitted material, and that their published data does not infringe on the rights of any third-party individuals or organizations. All members are assumed to have, regarding provided data, granted The Association the license for free-of-charge, non-monopolistic, global, sub-licensable and transferable usage, replication, duplication, and the creation, display and performance of any derivative material. All members are assumed to have agreed not to exercise author’s rights against The Association or any organizations that have inherited rights or received consent from The Association. Members are strictly prohibited from committing the following behaviors in the context of The Service. Furthermore, any websites, mobile sites, or other information recommended by members that contain the following content are also prohibited. (1) Behaviors that infringe on the privacy of communications, property, general privacy, portrait rights, prestige and reputation of The Association or any third-party individuals or organizations. (2) Behaviors that may be considered slander, intimidation or discriminatory against The Association or any third-party individuals or organizations. (3) Behaviors that infringe on, or risk infringing on, any rights belonging to The Association or any third-party individuals or organizations, especially intellectual property rights. (5) Any transmission of obscene, brutal, violent or other material that may be unsettling to viewers. (6) Any transmission or encouragement of transmission of false, linked (as in chain emails) and massive amounts of information (spam). (7) Any advertising, propaganda, business activity, public election activity, or solicitations for specific beliefs or religions, and any related behaviors. (8) Any behavior, under whatever name, that results in the receiving of money or products, such as fund-raising, requesting donations or offerings, or any behaviors that has soliciting investments as its purpose. (9) Any unauthorized access to the system of The Service, or to any other network system through The Service. (10) Any transmission of harmful computer programs to The Service, or to other network systems through The Service. (11) Any unpermitted falsification or deletion of information hosted on The Service. (12) Any collection or accumulation of a member’s personal information, and attempts to pinpoint a member’s identity and make contact with them outside of The Service, without said member’s consent. (14) Any behavior contrary to laws and ordinances, public order and morals, The Agreement, separate agreements, or indications from The Association or other management bodies. (15) Any behavior that hinders the operation of The Service. (16) Any behavior that may cause discomfort in third-party individuals or organizations, other members, or The Association’s staff. (17) Any impersonation of third-party individuals or organizations. (19) Any usage of the ID and password of other members of The Service. (20) Overly long telephone calls, or excessive repeating of identical inquiries. (21) Any coercive requests that The Association has no obligations or reasons to answer, and which constitute a remarkable amount of usage of The Association’s services. (22) Any behavior that either is one of, or otherwise directly or indirectly leads to other behaviors that violate any of the clauses above. (23) Any other behavior deemed inappropriate by The Association. Article 12: Erasure of Registration. 1. If any member were to fall into any of the categories below, then The Association may, without advance notice, take one or multiple of the following measures, including deletion of provided data, temporary suspension of service usage, erasure of member registration, cancellation of service user contract, and filing of damage claims. (1) The member has violated one or many terms of The Agreement or separate agreements. (2) It has been confirmed that there are falsehoods in registration information. (3) The member has not replied to inquiries or other communication that requires a reply from The Association for longer than 30 days. (4) The member falls into any of the categories stated in Article 3. (5) Payment from the member’s registered PayPal account has been stopped. (6) The member has either received a compulsory execution, provisional seizure, coercive tax collection, or a court ruling for commencement of guardianship, curatorship and assistance, or if the member has filed for bankruptcy and civil rehabilitation proceedings. (7) The member has been otherwise judged to be unsuitable by The Association. 2. The Association takes no responsibility for any damage to the member that may result from measures undertaken based on this article. Depending on the state of maintenance, operation and construction of the equipment used for The Service, or the state of any electricity and communications providers chosen by the member, parts or all of The Service may be interrupted or suspended by The Association. The Association may, depending on its current state, change the content of, interrupt, suspend, or terminate the operation of parts or all of The Service. The Association takes no responsibility for any damage to the member that may result from measures undertaken based on this article. The Association makes no guarantee that The Service will be suitable to the member’s specific purpose, possess their desired functions, pricing, accuracy or utility, or that usage of The Service will conform to all the laws or regulations that may apply to the member. The Association takes no responsibility for any interruption or delay in service, or any damage or loss of member-provided information, websites, mobile pages or emails, or any misdelivery of emails that may result from system problems. The Association takes no responsibility for certain alterations that may occur to member-provided information, websites, mobile pages or emails owing to technical system maintenance. The Association takes no responsibility for any disputes that arise between members, or between members and third-party individuals or organizations. We kindly ask the participants to resolve the matter among themselves. The Service supports linking to other internet services (including banner ads). The Association takes no responsibility for any problems related to the usage of those websites. The Service supports the downloading of programs. The Association takes no responsibility for any damage, including data loss, that may result from executing those programs. Any member information registered by the member is of that member’s responsibility, and The Association takes no responsibility for the accuracy, authenticity, morality, legality, etc. of the content of any information registered by the members. The Association reserves the rights to browse any members’ registered information or submitted content. However, The Association bears no obligation to browse, and no responsibility for any damage that may result. The Association reserves the rights to, if it has deemed it necessary for the operation of The Service, freely alter or delete members’ registered information or submitted content. However, The Association bears no obligation to do this, and no responsibility for any damage that may result. The Association bears no obligation to preserve members’ registered information or submitted content. Members have the responsibility to properly preserve their essential information. The Association has taken reasonable measures, including implementation of SSL/TLS security protocol and firewall installation, to ensure hacking and other illegal methods of access cannot cause damage to the members. The Association takes no responsibility for any damage that may result to members from illegal access, regardless of these safeguards. Members are advised to take reasonable virus-checking methods before using The Service. The Association takes no responsibility for any damage that may result from virus infection. The Association will only take responsibility for circumstances when damage resulted directly from intention or gross negligence on the association’s part, and this responsibility will only extend to compensation for general damage that resulted directly in reality from this. Article 15: Alteration of The Agreement and Service. The Association may, without consent from the member, after sending a notice through the service or other methods judged to be appropriate, change the contents of The Agreement or The Service. These changes, unless specifically stated otherwise, are to be considered effective the moment they are displayed on the website. After these changes in The Agreement and The Service, if the member does not complete membership cancellation procedures within a month, they are assumed to have agreed to the terms of these changes. Article 16: Preservation of Secrecy. In the event the member has received non-public information from The Association related to The Service and been requested to keep it a secret, then unless they have gotten written consent from The Association beforehand, they are to take responsibility for preserving the secrecy of that information. Article 17: Notifications and Communication. Any inquiries or other communication from members to The Association related to The Service, and any notifications regarding changes to The Agreements or other forms of communication from The Association to members, are to be conducted through methods established by The Association. If any article or parts of article of The Agreement has been rendered illegal or unenforceable under the Consumer Contract Act or other laws, then the remaining articles or the remaining parts of the article rendered so are to still be considered legal and enforceable. The Agreement (including separate agreements) are under the jurisdiction of Japanese Law, and all related matters are to be resolved accordingly. Article 20. Sincere Discussion and Exclusive Agreement Jurisdictional Court. Any disputes that arise between members and The Association regarding The Agreement (including separate agreements) and the service user agreement is to be resolved with sincere mutual discussion. If the matter remains unsolved regardless of discussion, then the exclusive agreement jurisdictional court for the first trial is going to be either the Tokyo District Court or Tokyo Summary Court. May 15th, 2016:Establishment and Execution.